I am quite happy to hike in the rain, in fact I quite enjoy it so long as it doesn’t last for days on end as it creates some amazing photographic opportunities. But in the environment in which I live rain usually means not just getting wet but also getting cold. 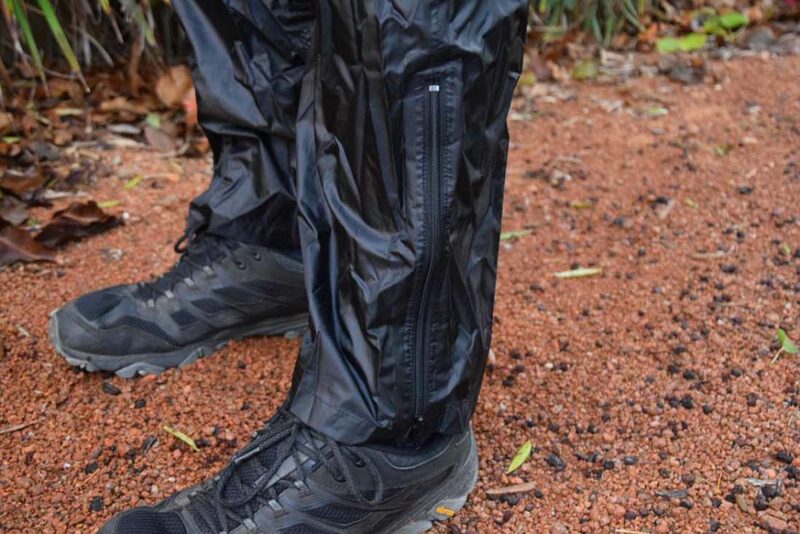 While many people will carry a rain jacket of some sort, rain pants are less common with many opting to do without. For various reasons I always hike in long pants (snakes, ticks, leeches, mosquitos, sunburn… do I keep on going?). Even in summertime the areas I hike can also get very cold and as such I will always carry a set of rain pants and jacket on long trips, or on shorter trips if it looks like rain is coming. For me wet weather gear including waterproof rain pants form part of my layering system for much of the year. 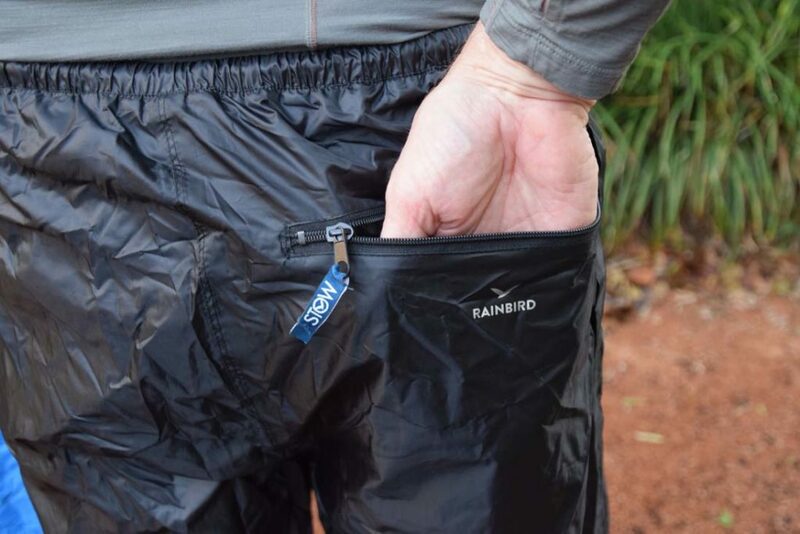 I have owned a set of Rainbird STOWaway Waterproof Overpants since 2006 and only just recently replaced my first pair after the seals failed but given this was after keeping me dry for just on 12 years in some heavy rain conditions this is very good value. I could have resealed the seams but at the low cost of these pants I couldn’t be bothered. Now I must fess up here and say that I do own I higher quality more durable set of brand name rain pants in addition to the Rainbird STOWaway Unisex Waterproof Overpants but the Rainbirds are my first choice when choosing what gear to take and it’s not just because they keep me dry (and warm if necessary). My main reason for choosing these pants is that the leg zips are longer than most and as such I don’t have to take off my trail runners to remove the pants. Given that I wear size 14 ‘boats’ the average person will have no problem (boots are a different issue). I just find that when the ground is sopping wet, but the rain has stopped, if I have to remove my footwear I end up doing this strange dance on one leg to try and keep dry. The longer leg zips are a godsend. These pants are relatively cheap and when you compare them to the more expensive choices they are hard to go past. 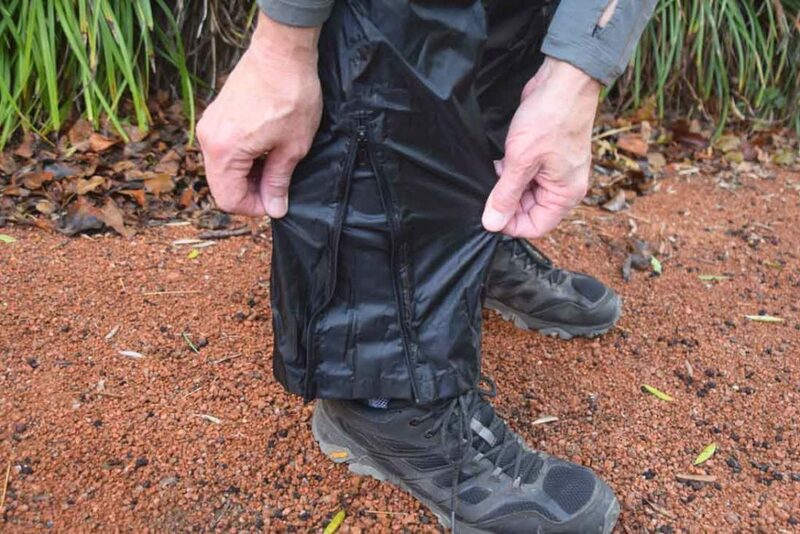 When you purchase these pants they come in a handy little dry bag which you can leave at home because as the name suggests they STOWaway in one of their own pockets. About the only issue I have with these pants is that in the large sizes, the colours are fairly limited (first world problem I know). These pants are also unisex which may mean that if you are a small female/male you may need to opt for the kids version. 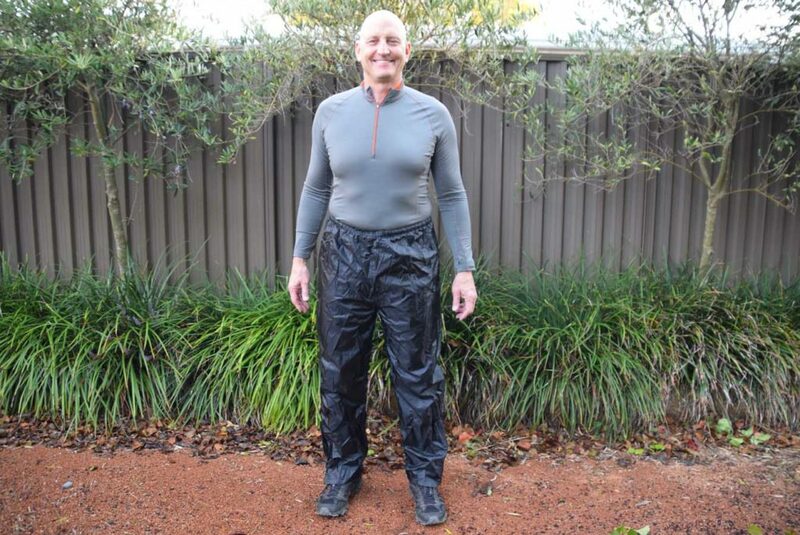 So if you are the type who wears rain pants then consider Rainbird STOWaway Unisex Waterproof Overpants for your wet weather activities. At the purchase price of under $60 you can’t really go past them and they will last you for many years. Look at pairing these pants with the Rainbird STOWaway Waterproof Jacket or the Marmot Precip Jacket.